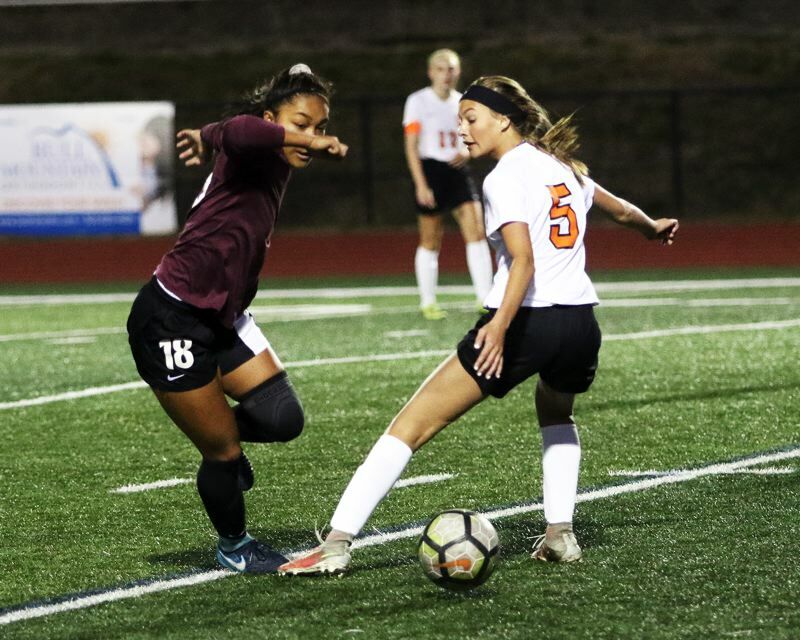 TUALATIN — For the Scappoose High School girls soccer team, it wasn't a win. Nevertheless, the Indians still seemed to have a good reason to smile. That's because they just gave a Class 6A traditional powerhouse all it could handle. 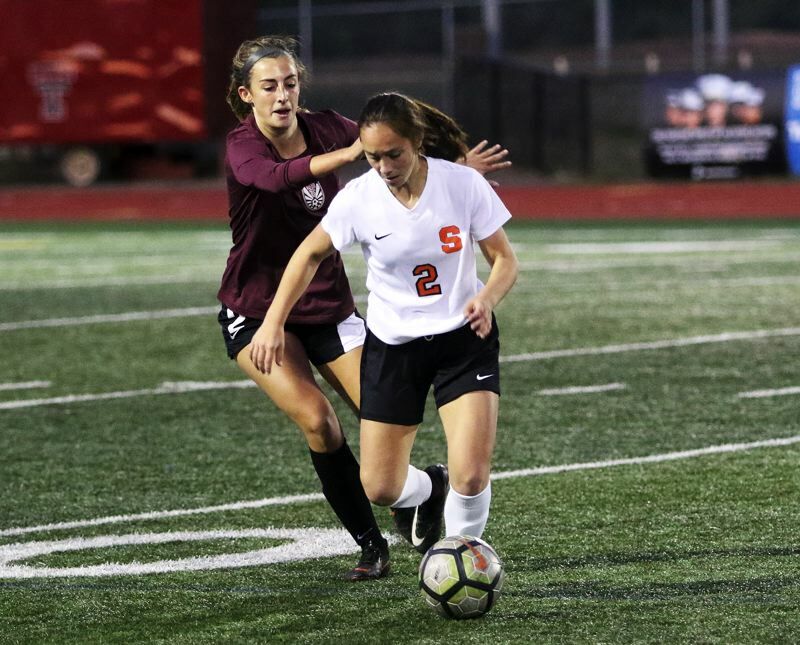 Scappoose, battling strong from the start, was edged 1-0 by Tualatin in a non-league match played Monday at Tualatin High School. "We definitely played really hard, and it was one of the best games we played," Scappoose senior midfielder Payton Fisher said after the match. "They're an amazing team, and we held them pretty well." 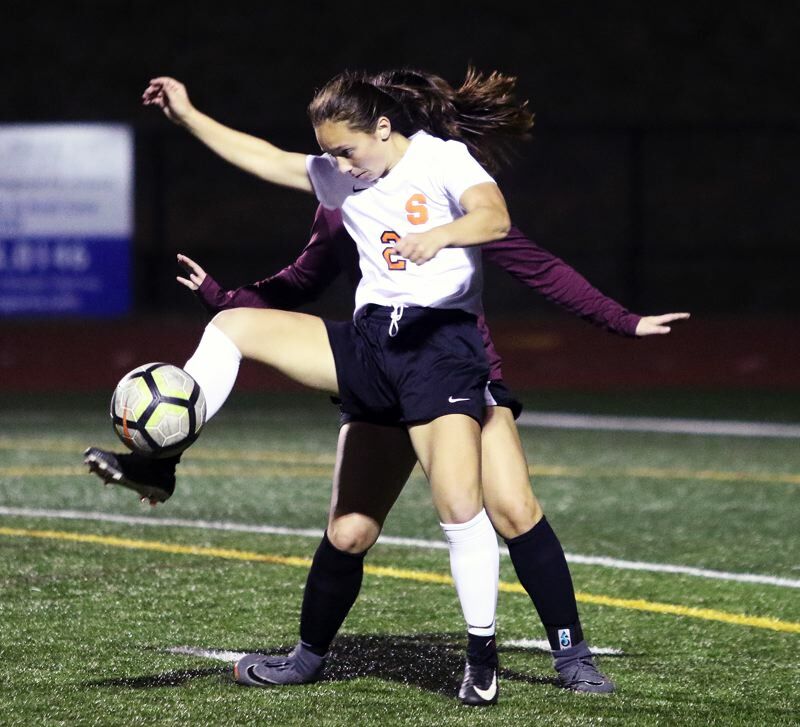 "We lost 1-0, but it was probably one of the best games we've played," Scappoose senior defender Lauren Whisenhunt said. "They're a really good team and we kept up with them." With the win, Tualatin improved to 6-1 on the season. Scappoose moved to 4-3 with the setback. "We have the rest of the week for conditioning and to work on everything we learned from this game," Fisher said. "We'll get into practice and work on possession and work on our set pieces, because we should have finished those," Whisenhunt said. It looked to be a fired-up Indian team that took the field for Monday's match. "We were excited, especially moving up from 4A to 5A this year," Fisher said. "Yeah, it was a big game for us." Whisenhunt, with a free-kick attempt from 30 yards away, had the first shot on goal for Scappoose, coming seven minutes into the contest. The Indians looked to have a prime scoring opportunity when sophomore forward Tessa Davidson had an open breakaway chance, but Tualatin junior goalkeeper Sarah Hall came sprinting out to dive on the ball with 21 minutes and 17 seconds left to play in the first half. The Timberwolves then took a 1-0 lead when junior Abby Borg scored on a shot from 30 yards out, putting the ball just inside of the right post of the Scappoose goal, coming with 13:09 remaining in the opening half. Scappoose freshman forward Kiera Fagan tried to answer on a shot coming from 15 yards out, with 4:38 left in the half, but her attempt sailed wide left of the goal. Fagan then had a breakaway opportunity with just over a minute remaining in the half, but, again, Hall came running out to block an open shot, preserving Tualatin's 1-0 halftime lead. The Indians kept battling early in the second half. Whisenhunt, sophomore Anika Havlik and Davidson each had attempt in the first 10 minutes of the half, with Hall again running out to block Davidson's open shot. From there, Sophomore junior Emma Jones and Fisher each had shots on goal, with Hall having to make a reaching save on Fisher's turnaround shot from 27 yards away with 24:20 left in the match, leaving Tualatin with a hard-fought 1-0 victory. "This will help us out," Fisher said. "They were really, really good, and we stuck with them." "We played our hearts out," Fisher said. "Our communication was very good, and I think our passes were very crisp. We definitely improved. It was a good game." 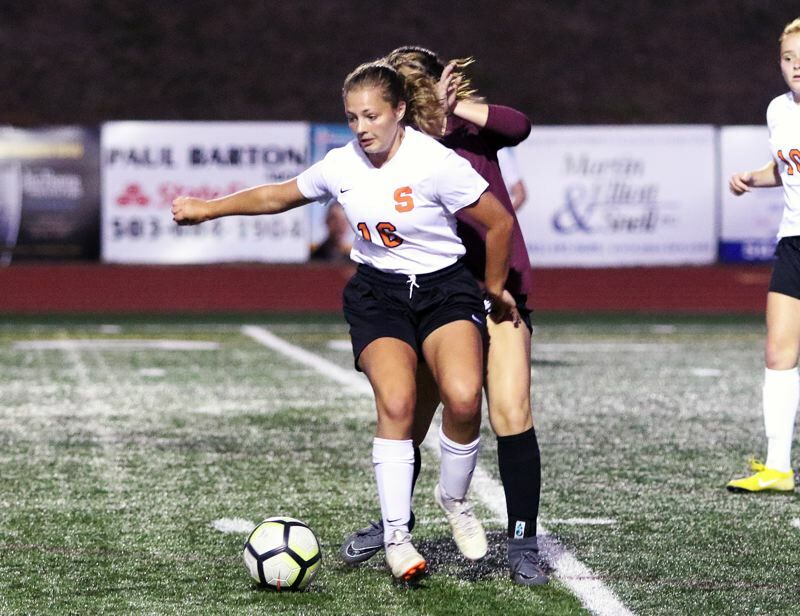 The Scappoose defense, including senior Shayna Redpath, sophomore Rylee Cook, Jones, Whisenhunt and sophomore Autumn Terry, among others, seemed to step up in the contest, holding the high-scoring Timberwolves to one goal. "Our defense was really good," Whisenhunt said with a smile. For the match, Scappoose had six shots on goal and two corner kicks. Tualatin had 10 shots on goal and six corner kicks. The Indians will be back in action on Oct. 2, when they play at Wilsonville in a Northwest Oregon Conference opener starting at 7 p.m. Scappoose will be home on Oct. 4 to play Parkrose in a 4:15 p.m. conference contest.